I was pleased with how the Shadow Hounds turned out that I decided to try my hand out on the Shadow Demon. 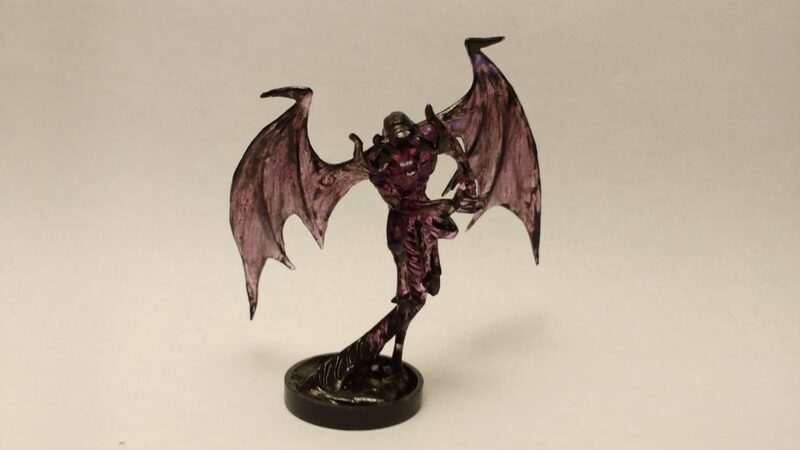 The Shadow Demon is made from the same translucent material but is a very different sculpt. I picked up some color shift paint this week so I eagerly dry brushed it over the wings to interesting effect… But it didn’t quite stand out as much as I wanted so I decided to try dry brushing over it with metallic black. I painted heavy metallic black on the claws/hooves, metallic white on the teeth, and ruby red on the eyes. The results are solid…but not quite as interesting as the Shadow Hounds in my opinion. I was hoping to find another surprise translucent effect inherit to the sculpt like the Shadow Hound eyes but no dice this time. I’m in a bit of a weird place with how these turned out. I think they look quite threatening…but a bit generic. I wish I had tried dry brushing them in metallic white or copper instead of black – the effect might have been a bit more original. Maybe I’ll order more and give it a try down the road? 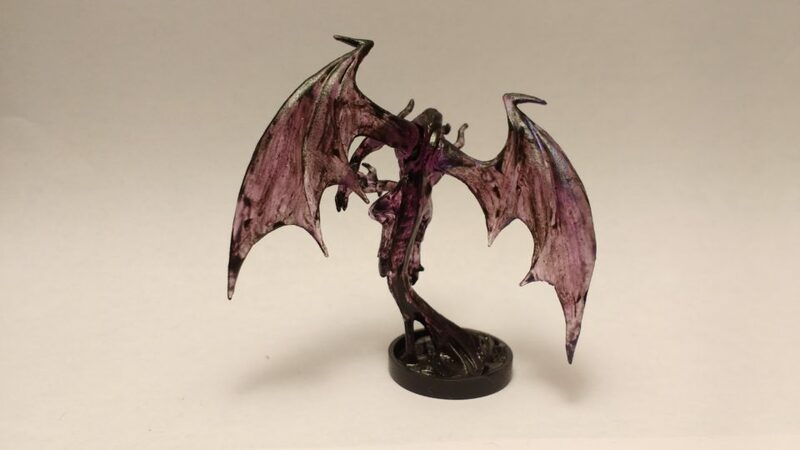 I painted five of these to field in the next session of my Celestial Winter session. They should provide a nice challenge to my players.